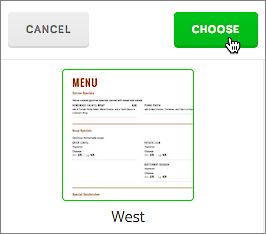 Click the Menus or Price Lists tab in the left-hand column. 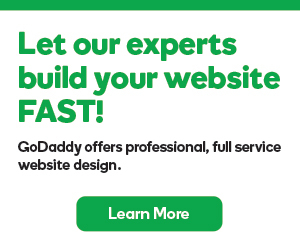 Click Design in the upper-right of your screen. 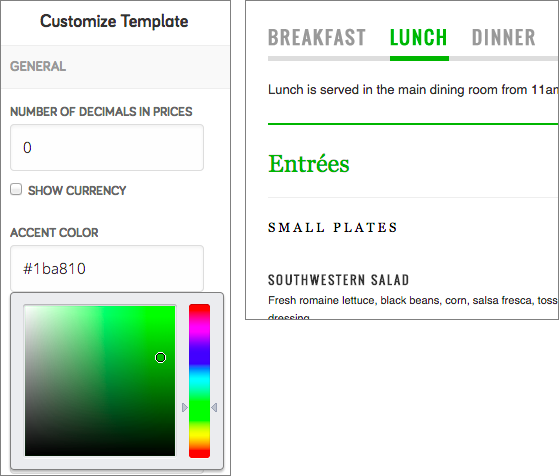 Click Customize Design to begin changing a template design. Scroll through the design templates in the left-hand column and click ones you want to inspect in the main window. 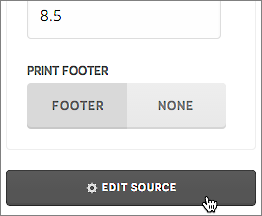 If you're not happy with the results, click another template in the left-hand column or click Back To The Example to stop using your own menu. Once you find a template you want to use, click Choose at the top of the left-hand column. The left-hand column now displays various fields, which you can use to customize the template and immediately see the effect in your menu. 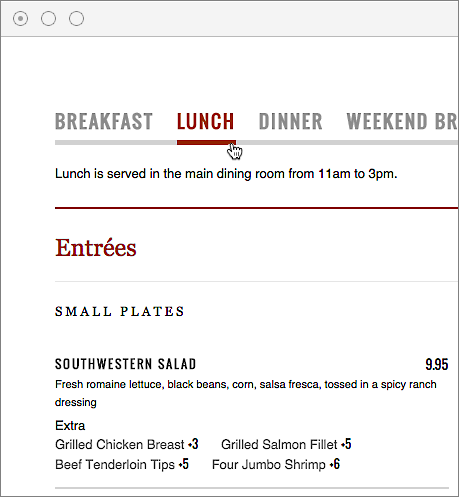 Once you're done making changes, click Save & Publish at the top of the left-hand column and Get Found returns you to the menu/price list page. As you work, you can see how your existing menu/price list looks in different views by clicking Web, Mobile, Facebook or Paper in the bar above the main window. You can directly edit the the Menu/Price List Template code by clicking Edit Source at the bottom of the left-hand column. 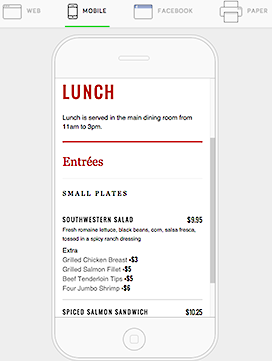 If you have coding knowledge, you can completely customize the menu/price list template to fit seamlessly within your existing website. (more info).